Performing as part of the Tribute to John Coltrane Concert at Cafe Stritch in San Jose on September 25th. Ken will be giving a performance / lecture for Temple Kol Emeth Spring fundraiser in Palo Alto. Ken's music appears in Karin Albou's new film My Shortest Love Affair, showing at the San Francisco Film Festival in July and August. Sound Poetry celebrated in performance at The Sunside in Paris on July 1st. Ken Berman Trio featuring Kai Eckhardt and Akira Tana performing the original "MRI" at Dinkelspiel Auditorium, Stanford University. New video - "It's Over" - of Ken Berman performing live with Kai Eckhardt (electric bass) and Akira Tana (drums) at Stanford University's Dinkelspiel Auditorium in 2014. 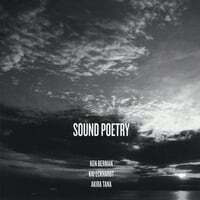 New release Sound Poetry out now! "Here's an intuitive and lyrical collection of music by a trio lead by pianist Ken Berman. He uses his solo sounds on Billy Strayhorn's "Lush Life" and George Gershwin's "Someone to Watch Over Me" as atmospheric bookends to frame his delicate work with Kai Eckhardt/eb and Akira Tana/dr. As for the solo excursions, hints of Satie pop up here and there, while on his trio selections, stately melodies and thoughtful solos abound on compositions such as "Old Dylan" and "The Poet" while a bit of bluesy grooves slide to center stage with a touch of bop on "Frisell" and "Diane." His approach is quite mature and patient, but never stale or rote-he has feeling in his delivery but it's more on the side of grace than grease. Flowing like a silk nightgown." "Pianist Ken Berman leads his own trio on Sound Poetry, featuring electric bassist Kai Eckhardt and drummer Akira Tana. On eight originals (including tributes to Bob Dylan, Bill Frisell and indirectly to Bill Evans), and fresh versions of "Lush Life" and "Someone To Watch Over Me," (the latter modernized and taken as an unaccompanied piano solo), Berman and his group perform thoughtful, melodic and impressionistic music. Grooving as much as swinging, the musicians develop and build up the music as it progresses. There is plenty of close interplay by the musicians with Berman in the lead. While one might think of Bill Evans or Vince Guaraldi in spots, Ken Berman has his own sound, with plenty of fire displayed on the medium-tempo jazz waltz "Spaghetti Eastern." Sound Poetry lives up to its title and will hold the interest of listeners throughout the well-balanced and easily enjoyable set." Terrific review in All About Jazz where journalist Edward Blanco praises Sound Poetry as full of "fresh new material" and hitting "newly chartered territory" - "a sound and charming musical statement from a superb pianist and composer." The full review appears in our reviews page. Sound Poetry broke into JAZZWEEK's TOP 75, hitting #60! Sound Poetry has been on JAZZWEEK's TOP 100 for over 4 weeks, and is being featured on more than 175 radio stations nationwide. Sound Poetry just cracked the TOP 100 in JAZZWEEK airplay chart, and is now being broadcast on over 165 jazz radio stations nationwide, from Maine to Chicago, New Orleans to Austin, Texas, Seattle to Hawaii. New video of Ken performing a solo piano version of Billy Strayhorn's classic "Lush Life," recorded on location at Fantasy Studios. To be included on the upcoming CD Sound Poetry. "Someone To Watch Over Me" from the new CD, recorded live on location at Fantasy Studios. Ken Berman's new work Sound Poetry celebrated in performance at Stanford University's Dinkelspiel Auditorium on February 28th. Here is a new video of the trio performing the original composition "Sound Poem" (ASCAP - all rights reserved), shot on location at Fantasy Recording Studios. This tune is part of the upcoming CD, Sound Poetry. Our KICKSTARTER CAMPAIGN was a huge success!! Thanks to all who backed the project!! Appearing at The Sunside in Paris on June 27 with Remi Vignolo and Darryl Hall. Press on the link above for tickets. Our Kickstarter project was featured on the Open Culture website! Appearing at Lou's Village in San Jose on May 25th through the San Jose Jazz Saturday Concert Series. The Trio will be premiering new material from the upcoming release Sound Poetry at Hertz Concert Hall U.C. Berkeley on May 1st. Appearing as part of the San Jose Jazz "Free Jazz Wednesdays" Series on January 9th. Recording new CD Sound Poetry at Fantasy Studios with Kai Eckhardt and Akira Tana. 1st session, December 18th. Performing at the Bliss Bar in San Francisco on Sunday, November 4 in a duo setting with Kai Eckhardt on bass. Working on new CD project Sound Poetry due out Fall 2013. New show added at Bliss Bar in San Francisco. New live video footage: "Old Dylan" Live at the Sunset, Paris, with Hadrien Feraud and Remi Vignolo. Ken Berman / Kai Eckhardt Duo in Concert Sunday March 4th at Bliss Bar in San Francisco. Ken Berman, Hadrien Feraud and Remi Vignolo performing the original "Old Style Tune" Live at the Sunset, Paris, December 2011. Performing in a duo setting with guitarist Mike Abraham at the Bliss Bar in SF, CA on January 22nd. Ken Berman featured in the Parisian magazine Journal La Terrasse for the upcoming concert at The Sunset in Paris. Ken Berman "Trio F" with Remi Vignolo and bassist Hadrien Feraud (John McLaughlin, Chick Corea alumni) will be appearing at The Sunset in Paris on December 23rd. Click here to purchase advance tickets at a discount. Ken Berman now appearing on EARBITS online Radio, as well as on the playlist of 106.7 FM in New York City. New REVERBNATION widget for all to share. Includes more info and updates and some free downloads! A short feature in the July issue of the local SF Newspaper The Potrero View. Looking Forward has been added to the playlist on Radio NEO 95.5 in New York City. "Berman of course gets plenty of solo time here. He sounds good, in a full-voiced way. Steve-Kuhn-Bley-Jarrett-Evans are people he has appreciated, I suspect, and he belongs to that school here if that's what you would like to call it. It's a kind of narrative post-Bop style, with linear and harmonic movement the main thrust..." "It's all well done and a very good example of a modern piano trio playing original material that doesn't sound like stolen goods." See the full article on our Reviews page. Looking Forward is being featured at CDBABY this month, all month. Check out this month's JazzTimes Magazine, where Looking Forward was chosen as one of "the Ten Best and Most Important jazz CDs of 2010!" Looking Forward has been added to the rotation on NPR Station KUAC-FM in Fairbanks, Alaska. In the year-end edition of Between The Grooves Blog, Ken's CD Looking Forward was chosen by critic Philip Booth as one of the Top Ten Jazz Releases of 2010. Megasonic Studios on the 13th, off to Paris on the 17th. You can see photos of Ken, Kai, and Akira's recent concert at Yoshi's by clicking here. Here is a video of a recent solo performance of Billy Strayhorn's "Lush Life"
Performing at Hertz Concert Hall on the campus of University of California at Berkeley on October 13th as part of the UC Music Department's 58th annual Noon Concert Series, with Akira Tana and Marc Van Wageningen. The Ken Berman Trio featuring Kai Eckhardt and Akira Tana will be appearing at Yoshi's in Oakland on September 20th! Click on the link to buy advance tickets. Looking Forward has been added to the playlist on KMHD, 89.1 Jazz Radio in Portland Oregon. Great station. Check out this live video clip of the original tune Peace Now, recorded in concert at the Bach Dancing and Dynamite Society last month. Appearing at the Bach Dancing And Dynamite Society in Half Moon Bay on Sunday, August 8th. Reserve your tickets in advance for a discount by pressing on the link above. KB will be interviewed Saturday, August 7th on KRML Radio 94.7 in Monterey, CA, at 9am PST by host Jim Sintetos. Tune in online by pressing the link. Looking Forward was just added to the playlists on jazz radio KKUP in San Jose and on legendary station KRML in Carmel, CA. Appearing at the Bach Dancing And Dynamite Society in Half Moon Bay on Sunday, August 8th, and at Yoshi's on September 20th. Appearing at The Sunside in Paris on June 28th with Rémi Vignolo (d) and Diego Imbert (b). Looking Forward just received a terrific review in the new edition of The Los Angeles Jazz Scene Click on the link and scroll to the bottom for the article. Appearing at the noted Bach Dancing And Dynamite Society in Half Moon Bay in August. Looking Forward is receiving airplay on NPR jazz radio WCLK in Atlanta! KB Trio will be performing at The Sunside in Paris in June and at the world-famous Yoshi's jazz club in Oakland in September. Receiving airplay on more and more NPR stations nationwide including recently added at WAER in Syracuse and KSKA in Anchorage, as well as at WDCB in Chicago, WEMU in Michigan, WSKG in NY and KCSM jazz radio in San Francisco. Looking Forward was just added to the rotation on NPR jazz and blues radio WDCB in Chicago! Looking Forward is being added to the rotation on Bay Area jazz radio station KCSM: Call the studio at (650) 574-9136 and request to hear Ken Berman's new album. Looking Forward has been added to the rotation on NPR stations WEMU in Eastern Michigan and WSKG in upstate NY. Click on the link to make a request! Please donate now to OXFAM or The RED CROSS to help the people of Haiti who are suffering so tragically after the earthquake. Even a small amount will help save lives! KEN BERMAN'S NEW RELEASE NOW AVAILABLE! Ken will be performing live at the KPFA Music Festival this month. Tune into KPFA Radio on December 12th at 1pm to hear a live performance and interview from the Ken Berman Trio, featuring Akira Tana (d) and Sam Bevan (b), highlighting tracks from his upcoming album Looking Forward. Ken will be broadcast live in concert on KPFA radio on December 12th at the San Francisco Concourse Exhibition Center. A live interview will follow the performance. 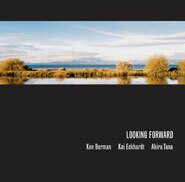 Looking Forward, the new album of original music by Ken Berman featuring bass great Kai Eckhardt and the legendary Akira Tana on drums is scheduled for release on January 1st, 2010. This just in: Ken will be performing at the Concourse Exhibition Center in San Francisco on December 12th. Here's a video trailer excerpt of the title track of Looking Forward, Ken's upcoming album featuring Kai Eckhardt (b) and Akira Tana (d). Check out this new live excerpt of the original composition Sailing To Byzantium featuring Akira Tana and Peter Barshay, recorded live in concert. This song, along with 7 other originals will be available on Ken's new CD, due out in November. Ken will be performing a rare solo piano concert this Sunday at the Berkeley City Club. Ken's new album Looking Forward, featuring Kai Eckhardt and Akira Tana performing eight new original compositions is scheduled for European release on October 21st, U.S. release December 1st. Ken will be appearing at the Berkeley City Club on July 19 in Berkeley, CA, in a rare solo concert performance. Here is a clip from a recent concert in San Francisco, featuring Kai Eckhardt and Akira Tana, performing the original composition, Sailing To Byzantium. Kai Eckhardt and Akira Tana joined Ken Berman in the studio to begin work on his next album, with the working title "Looking Forward." Check back here for unreleased excerpts and new originals! Bob Parlocha featured Ken Berman on his "Jazz With Bob Parlocha" program this week, and called Ken a "sensitive writer and performer, a young pianist to watch out for." KCSM's Desert Island Jazz with disc jockey Alisa Clancy was full of great conversation and fun. Thanks to all who tuned in. Ken Berman will be appearing on the Bay Area's Jazz Station KCSM on Friday, August 15th as part of their "Desert Island Jazz" program. Tune in at 9am! Melody has arrived - 3 weeks early!!! The concert at YOSHI'S was a huge success! Check back soon for clips of new material recorded there. This just in! KCSM disc jockey Michael Burman will be the MC for The Ken Berman Trio's upcoming concert at YOSHI'S on Monday, June 2nd. Tickets are selling fast! Reserve your seats now by clicking on the link above or calling 415-655-5600. The Ken Berman Trio will be performing at YOSHI'S in San Francisco on Monday, June 2nd! If you have not visited the incredible new Yoshi's, now is the time! Click on the above link to reserve the best seats for June 2nd, or call 415-655-5600. Yoshi's is located at 1330 Fillmore Street in San Francisco, with easy parking. Support Bay Area Jazz Station KCSM during their spring fundraiser. Help keep the jazz flowing by giving what you can to the nation's only 24 hour jazz radio station. The trio concert at Piedmont Pianos was a spectacular night. Check back soon for video footage of two new compositions premiered there. Composer Ken Berman is sometimes compared to Keith Jarrett; that's a compliment. But the Ken Berman Trio's music makes us think more of drinking strong tea in the avenues on a socked-in foggy day than of any particular compere the local music prof may have. It's contemplative jazz, gentle but without a trace of fluff or artifice. Berman's favored in Paris and Los Angeles, where jazz critic Scott Yanow called his piano work "both swinging and thoughtful." The trio also features Kai Eckhardt on electric bass and Akira Tana on drums. Catch them tonight [Saturday, April 12th] in the interesting company of many, many pianos and the high-class acoustics of a music store. Seating is limited for the Saturday, April 12th concert at Piedmont Pianos; call 415-543-9988 for advance reservations. The Ken Berman Trio featuring Kai Eckhardt and Akira Tana will be performing on Saturday, April 12th as part of the Piedmont Piano Company Concert Series. The Piedmont Piano Company is located at 660 3rd Street in San Francisco, and houses some of the finest pianos in the city. Advance tickets are available by calling 415-543-9988. Mark your calendars! Ken's new song, Peace Now recorded live in concert with the trio, featuring Kai Eckhardt and Akira Tana. Here's another new clip from the Ken Berman Trio's performance at Hertz Concert Hall , with the title track to Ken Berman's latest CD In Mind. This footage features a bass solo by the inimitable Kai Eckhardt. Check out the new clip below of the Ken Berman Trio live at Hertz Concert Hall, featuring Kai Eckhardt and Akira Tana , performing the new tune Délie. More clips to follow! A huge crowd of over 400 people attended the Hertz Hall Concert at UC Berkeley last Wednesday. The concert was a great success. We will be posting video footage and pictures of the show soon. The Ken Berman Trio, featuring Kai Eckhardt (b) and Akira Tana (d) will be appearing at the Hertz Concert Hall at the University of California, Berkeley, on Wednesday, September 19th as part of the UC School of Music Noon Concert Series. Below is the Ken Berman trio, featuring Peter Barshay (b) and Alan Hall (d) with the premiere of the composition Looking Forward from a recent live performance at The Jazz School. Check out the latest footage from the JazzSchool concert below, and scroll down for more videos of earlier concerts, including one featuring Kai Eckhardt (b) and Akira Tana (b). Visit our Bio and Music pages for even more footage. Below is an excerpt of the new tune, Délie from an upcoming disc, Live At The Jazz School. The Jazz School concert was a great success! Thanks to all who came out. Several new compositions were debuted and recorded for later release. We will be posting pictures of the show on our Bio page shortly. Check back soon! Ken Berman will be appearing at The JazzSchool on Sunday, June 3rd, leading a trio featuring Peter Barshay (bass) and Alan Hall (drums). All ages show: seating is limited: you can reserve advance tickets now by clicking here, or calling 1-866-384-3060. The JazzSchool is located at 2087 Addison Street in downtown Berkeley. The Ken Berman Trio, featuring alto saxophonist Sarah Manning and bassist Sam Bevan will be performing original material at bacar restaurant in San Francisco this coming Wednesday, April 11th. Reviewing Ken Berman's new CD In Mind for the February issue of The L.A. Jazz Scene, Scott Yanow writes: "When listening to Ken Berman's trio CD In Mind, it is easy to think of Keith Jarrett and Bill Evans, for Berman's chord voicings and his close interplay with his sidemen recall the work of his two predecessors. The difference is that Berman wrote all ten selections, he never copies Evans or Jarrett, and at times he sounds more advanced than either of them." To see more of the article, check out our Reviews page. The Ken Berman Trio concert at Anna's Jazz Island was Sold Out! Thanks to everyone who came out for the show! Check out a video excerpt of the performance below of the new tune The Bard Flies, featuring Kai Eckhardt (b) and Akira Tana (d). Check our Bio and Music pages for more! The Ken Berman Trio, featuring Kai Eckhardt (bass) and Akira Tana (drums) will be appearing for one night only at Anna's Jazz Island on Thursday, January 18th, at 8pm . Reserve your tickets in advance by calling Anna's at 510-841-5299 as seating is limited. Don't miss this extraordinary Cd Release Concert! Ken Berman interview on KCSM! Tune in to KCSM at 3pm on Thursday, January 11th, when Ken will be interviewed by Melanie Berzon. Stream the interview online at KCSM.org. Ken Berman returns to France for a European CD Release Party at The SUNSIDE in Paris on December 19th, with a trio featuring Remi Vignolo and Fabien Marcoz. Ken Berman will be a appearing with a trio featuring Chuck Metcalf (b) and Ron Marabuto (d) and perform new material from his album In Mind at The Downtown Restaurant in Berkeley, CA. Ken Berman's New CD In Mind hits the top 15 jazz releases of 2007 on Syndicated Jazz Radio Host Bob Parlocha's website! View the Listing . June 20th, 2006 - Expat Jazz Sensation Releases New Album! Jazz pianist and composer Ken Berman, a sensation in Paris, was praised by French newspaper Le Monde as "fluid and erudite" and hailed as a performer whose "complex improvisations overflow with delicate sensuality and brilliance." 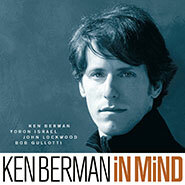 In Mind, Ken Berman’s latest release, features ten inspired original tracks showcasing his genius as a composer and pianist, leading a combo including the great John Lockwood on bass and legendary drummers Yoron Israel and Bob Gullotti. In December 2005, the French newspaper Le Monde praised Ken Berman, a sensation in Paris, as "precise and inventive," and the "talk of the town in the clubs of the [European] capital of jazz." His new compositions have been the subject of a recent in-depth feature on KZSU at Stanford University, where he was compared with Keith Jarrett, Bill Evans, and Horace Silver. May 23, 2006 - Ken Berman on KZSU – 2 hour interview! Ken Berman is interviewed by Robert Harrison of KZSU at Stanford University in a two-hour in depth feature on his work. Several tracks from his new release In Mind are broadcast. Listen to excerpts of the interview.